In 1990 a group of Riverstown people came together with the common aim of arresting the then very prevalent rural decline of the locality. They came from a variety of backgrounds including: agriculture; business; education; professional and community activities. Together they started something that continued to grow ever since. Riverstown Enterprise Development (Sligo) Ltd., is a company limited by guarantee. Its first task was to prepare a comprehensive action plan for the locality aimed at making the area one which is both attractive and viable in which to live, work and rear a family. A number of projects were undertaken which contributed to the environmental enhancement of the village and gave employment to the local people. Millview House, a turn of the century farmhouse on six acres was purchased as a headquarters. Here a historical project, which researched the rich history of the locality, was conducted. 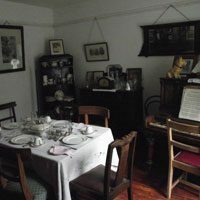 Today large volumes of records and documentation relevant to the area are available for research, as well as hundreds of interesting photographs. 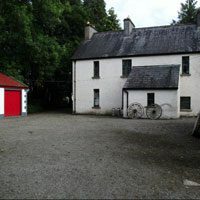 The establishment of the County Sligo Agricultural Museum and Rural Heritage Park at Millview House is the major undertaking of Riverstown Enterprise Development (Sligo) Ltd. Already hundreds of artefacts have been restored in our workshops to their former glory. When the project is completed the Riverstown locality will boast a facility to rival any similar project in Ireland. An amenity to promote the development of Sligo tourism to generate employment in the Riverstown area, to generate trade in the local businesses. An educational facility to inform future generations of the lives and lifestyles of their forebearers. A source of information for researchers and enthusiasts. Proximity of Riverstown to Sligo Town, some 15 miles away approximately to the North. Ballymote is approximately 7 miles away to the South West. The Sligo/Dublin National Primary Route — N4 is approximately 2 miles in a westerly direction of the village. Riverstown can be accessed from the N4 from the West and the R284 Sligo-Ballyfarnon Route to the East of the village, by a series of Third Class Roads. Lough Meharth lies to the South East of the village, a short distance away. The nearest railway stations are located in Ballymote and Collooney. Well within living memory and even at times of at least as great if not greater nation­wide recession Riverstown had been economically and socially vibrant. In the past forty years Riverstown entered a period of decline with the closing of many shops and services, the creamery was downgraded to a collection station coupled with the closure of the two long established hardware stores were examples of the decline, and the traditional service disappeared. The advancement of cattle marts at Ballymote and other towns necessitated the cessation of the village fairs and gradually the significance of the village to its immediate hinterland was eroded. Based on the 1991 Census of Population the overall deprivation score for the Electoral District is 7.5 on a scale of 1 to 10 (10 being the most disadvantaged). The village has an attractive layout and recent voluntary efforts by the local community with very limited resources have resulted in a significant improvement of the village’s appearance. Yet much remains to be done in improving the physical environment of the village. The decline in the traditional employment sector has left an economic vacuum in the village and the local development association has spent a long period in planning measures for the revival of the local economy. 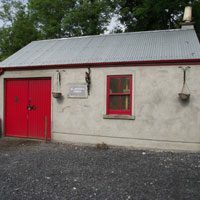 Socially in the late 1960’s Organisations such as the Tidy Towns transformed the face of the village to such and extent that the regional award was won four times consecutively. There has been an active community spirit evident in all aspects of village life. Economic decline with its inevitable migration and emigration brought this chapter to a close by the mid 1970’s. Riverstown is like many other towns in the North West region faced with a continuing depopulation. Even though the figures as stated below do not seem as dramatic, it is evident that in most recent surveys it was found that some people – and the younger generation in particular – only use their home in Riverstown as their secondary residence. It also has to be noted that Riverstown has recently benefited from new housing developments as well as neighbouring Collooney and Ballisadare. There are three National Schools serving the Riverstown Area, two are in the village and the third is Coolbock N.S. For their Secondary School Level education students usually attend Coolla Post Primary School or they may travel to either Ballymote or Sligo Town. Over the years Riverstown Enterprise Development and Sligo Folk Park have received tremendous support from numerous Public, Semi-Public and the Private Sector. Every contribution, big or small was very much appreciated and we have made every effort to utilise the support given, may it be in monies or mentoring advice, to the best of our abilities. With the mentioning in this list we would like to acknowledge the outstanding support without which we would not have been able to put Sligo Folk Park on the Map..